We’re excited to announce and congratulate the nominated finalists for the 2017 Show Me Shorts awards! The winners will be announced at our Auckland Opening Night & Awards Ceremony on Saturday 28 October at The Civic. 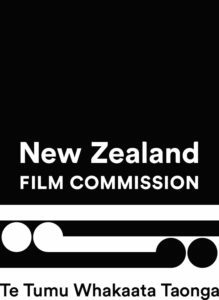 There are 16 short films nominated for awards from Aotearoa and across the world. The World in Your Window by writer/director Zoe McIntosh is the most-nominated film, competing in six award categories. 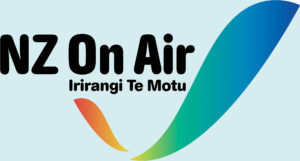 Also from New Zealand, Roseanne Liang’s Do No Harm and Becs Arahanga’s Laundry have each been nominated for four awards. Writer/director Phil Brough’s Fire in Cardboard City and Motel by Lauren Porteous are each nominated for three awards. Two Canadian films from the Québec Focus section of the programme have been nominated for Best International Film – Vaysha, L’Aveugle (Blind Vaysha) and Mon Dernier Éte (My Last Summer). The others are Wave from Academy Award winning Irish filmmaker Benjamin Cleary, and Downside Up from Belgium. Show Me Shorts is an Oscar-accredited film festival, meaning the winners of the top two awards, Best New Zealand Film and Best International Film, will become qualified to enter the Academy Awards. Other prizes include $9,500 cash, $10,000 worth of camera gear rental from Panavision, $5,000 of gear rental from Rubber Monkey, copies of Final Draft writing software, membership to DEGNZ, wine from Opawa wines, flowers from Enchanted Rose, certificates and limited edition engraved bronze winner’s badges. The total prize pool is valued at around $30,000. The jury panel assembled for the 2017 Show Me Shorts awards included highly regarded screen industry practitioners: award winning journalist Miriama Kamo; well-known actor Rachel House; experienced cinematographer Ian McCarroll; successful filmmaker Yamin Tun; and head programmer Mélissa Bouchard from REGARD – Saguenay International Short Film Festival in Canada. In addition to the awards listed above, the Showtools Special Jury Prize will be presented on the night. Audience members can vote for the WatchMe People’s Choice Award during the festival, by going to showmeshorts.co.nz. The winner will be announced in early December.